Give a boost to your personality with some awesome business office etiquette. Girls, you will shine like never before with some of the most terrific ways to dress for success! Get your hands on this kit to grab $1,297 in FREE Bonus Gifts! Are you going to a job interview over lunch? Do you know how to use a knife and fork properly? Do you have doubts about your ability to meet and greet top executives, dressing for success, making introductions, applying business telephone manners and etiquette skills, and handshaking the proper way? Business etiquette is more than knowing which fork to use at lunch with a client. Although you should know these skills, because people including your new boss will feel they can trust that you will not embarrass them in business and social situations. You will present yourself with the kind of polish that shows you can be taken seriously around other people, and they will feel comfortable round you. This 2-DVD Set, PowerPoint Flash, is an excellent self paced program to help you prepare for successful employment. 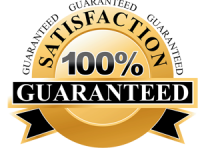 It provides all of the advanced level tools necessary for anyone to gain that extra edge. This is a personal development program for life and work. 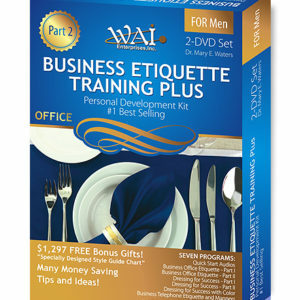 This is an educational, instructional, and inspirational program with valuable information on office etiquette, manners and social skills. Upon completion of this program, you will demonstrate superb skills in office etiquette, creating a positive first impression when making introductions and being introduced, shaking hands, using business cards appropriately, handling complaints, confrontation, and gossip; 12 personality style dressing for women, dressing for success with style and colors, and a color wheel for use when mixing and matching clothes; business telephone and manners; job interview over lunch and writing a “thank you” note. 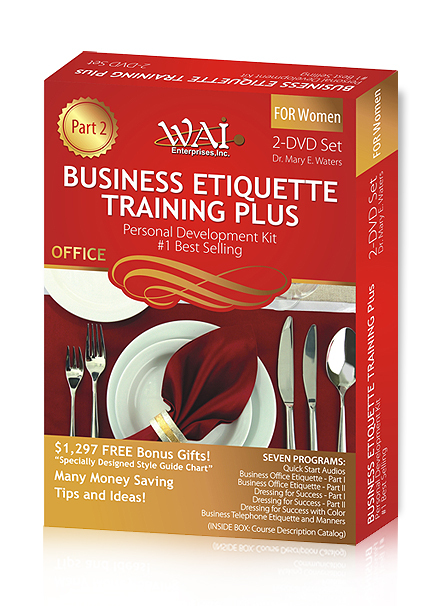 This is the ultimate self help guide where the woman who wants to learn the right business etiquette can do it. A self improvement product companies may offer to their employees as premium incentives. You can have a great time gifting yourself, friends, family, employees and other deserving acquaintances with this unique program. Program contains PowerPoint flash presentations, introduction letters, quizzes, workbooks, bio, resources, and journal, making your own journal and $1,297 in Free Bonuses! EBOOKS and MINI-EBOOKS include: Leadership, Career Networking, A Career in Modeling, Managing Stress, Maximizing Work Space Efficiency, Attitude in the Workplace, How to Motivate People in the Workplace and Improving Your Self-Esteem in the Workplace. We also include a Quick Start program with several motivational audios.